A single objective : bring together Nantes’ research expertise in computer science and cybernetics to develop digital sciences, inclusive of other disciplines and taking account of the social challenges involved. 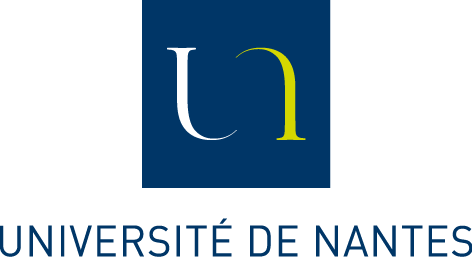 The lab of digital sciences of Nantes (“Laboratoire des Sciences du Numérique de Nantes : LS2N” in French) is a new Joint Research Unit (UMR 6004) created in January 2017, resulting from the grouping of the IRCCyN (UMR 6597 : Communication and Cyber Research Institute), and LINA (UMR 6241 : Computer Science Laboratory). With a strong scientific talent at the heart of digital sciences, this large laboratory of 450 people participates fully in the digital revolution of our society on the scientific and technical subjects it implements. Research is performed consciously of the societal challenges that this revolution engenders, and remaining curious and openminded to other disciplines. The complexity of the research objects that we are studying also forces us to adopt a global systemic approach in which computer concerns, automatic control, signal and image processing are interwoven in order to answer the questions asked by open, interactive, communicating and ubiquitous systems. The laboratory is an actor in innovation that values these objects with partners in its environment. The LS2N is supported by 5 public institutions of Higher Education and Research. It is located in Nantes on 5 geographical sites. Its research activity is structured in 5 areas of expertise and 5 cross-cutting themes. A Joint Research Unit of the CNRS (UMR 6004), supported by 5 public institutions of Higher Education and Research and including the activity of approximately 450 people (half on permanent position).